Thank you for considering the purchase of a custom-made fine art print of one of my photographs. 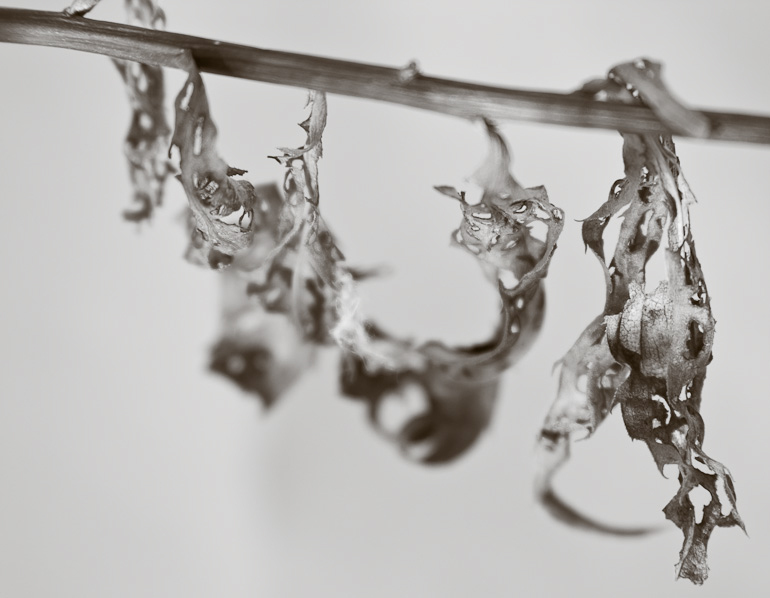 I produce the prints myself using high quality, archival inks and papers. Prints are personally signed and dated, and I offer custom-cut matting as well. Click here for a more detailed description of the range of printing and matting options available. I will normally fulfill orders within two to three days and I will ship items using the fastest regular post option available. Please feel free to leave a note during the checkout process, or contact me directly, if you would like your items rushed, or have any other special requests. Click on the shopping cart icon below each thumbnail to select your print size and matting options, then click "Add to Cart". All transactions (including your credit card information) are handled though the PayPal service, so you can be assured that your information is 100% secure. 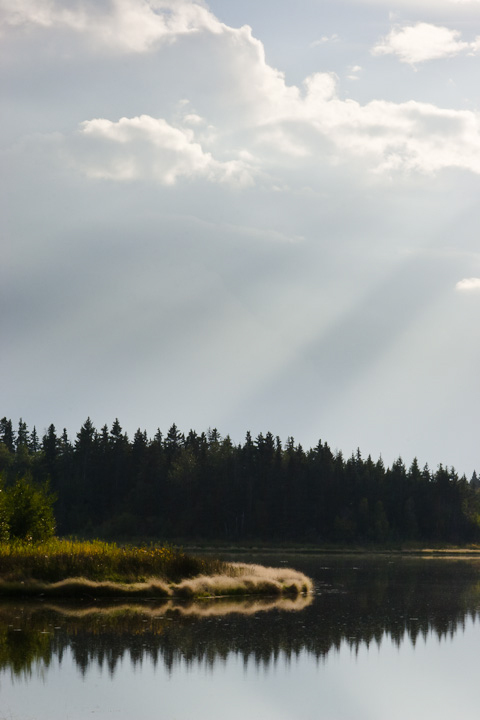 A low angled sun and an approaching summer storm create subtle crepuscular rays above the glowing grass along a lake shore at the Ministik Game Bird Sanctuary . 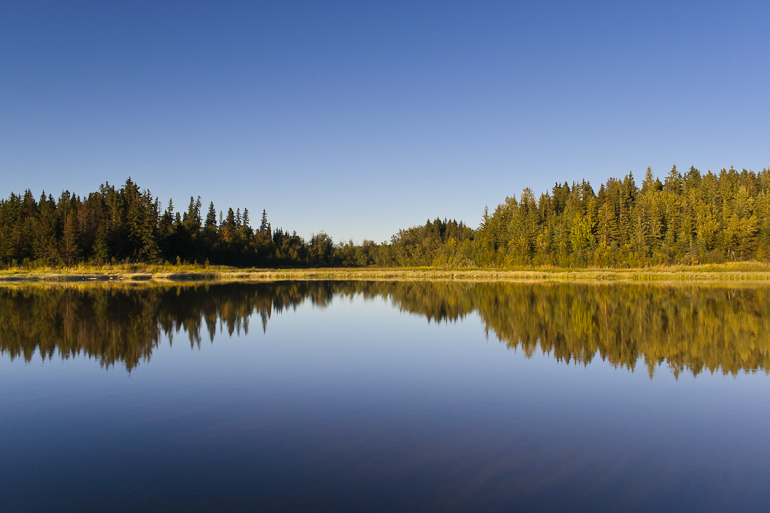 A mirror smooth lake creates a reflection of a typical boreal shoreline of white spruce trees and sedges beneath a clear blue sky. 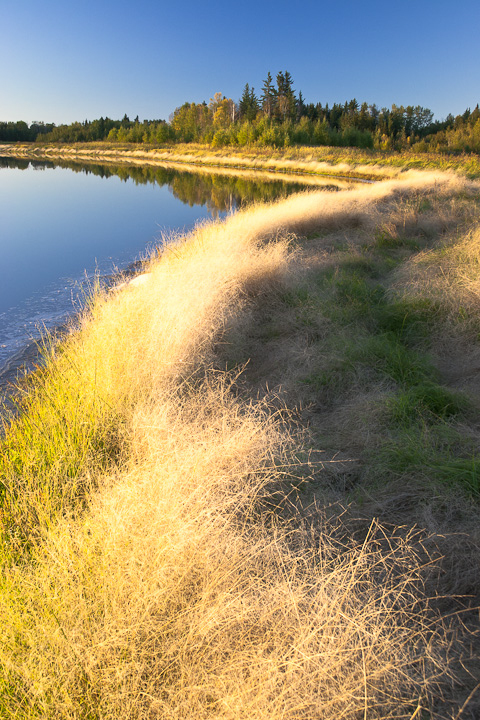 Warm evening light shines off glowing dried grass along a lake edge at the Ministik Game Bird Sanctuary. 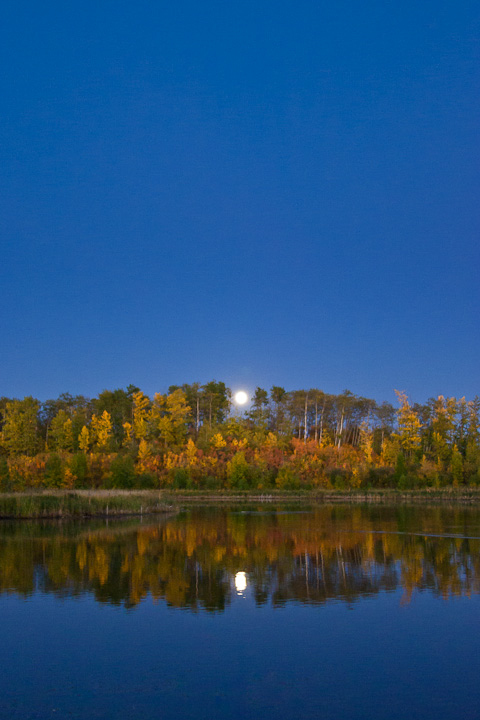 A glowing full moon rises through a gap in a boreal poplar stand as the last light of the setting sun illuminates the early autumn colours. 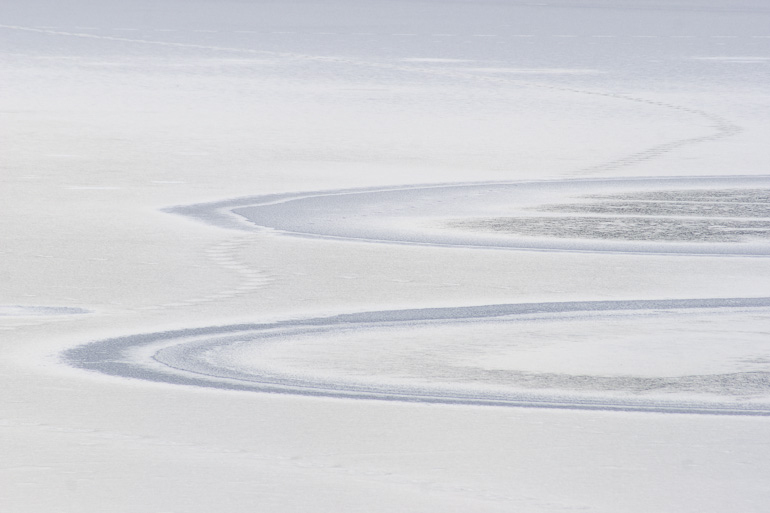 Coyote tracks in fresh snow wander past abstract patterns frozen in lake ice. 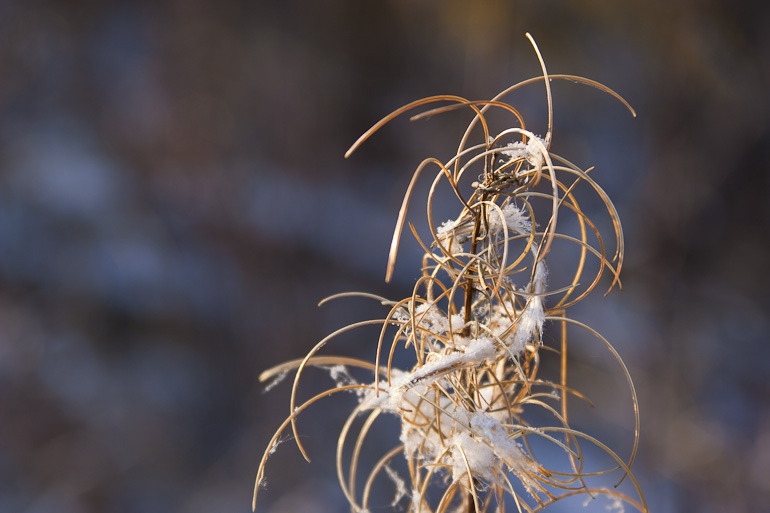 An early autumn dust of snow clings to the dried seed pods of a lone fireweed plant. 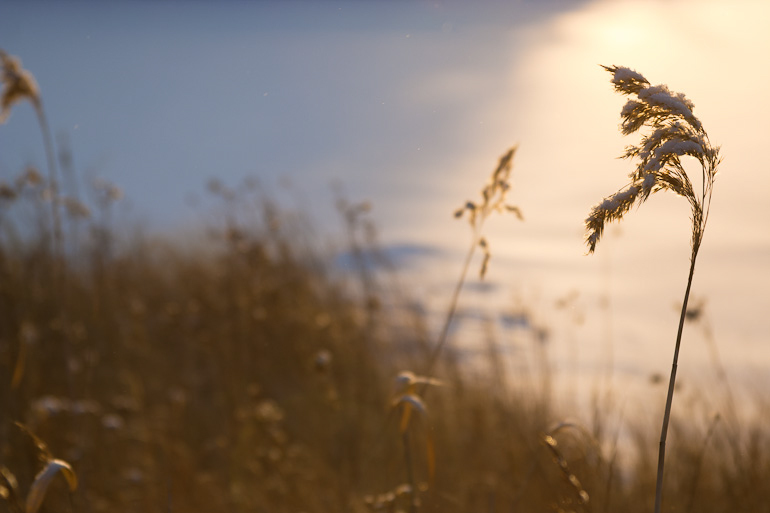 Late afternoon light from a low winter sun reflects off the smooth snow of a frozen lake to create a silhouette of a dried grass stem. 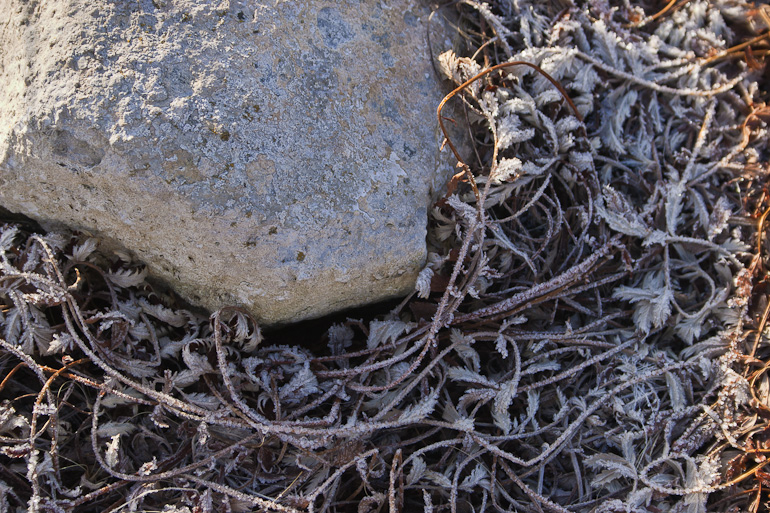 The last remnants of an autumn morning frost clings to elegant dried leaves in the shadow of a small boulder. 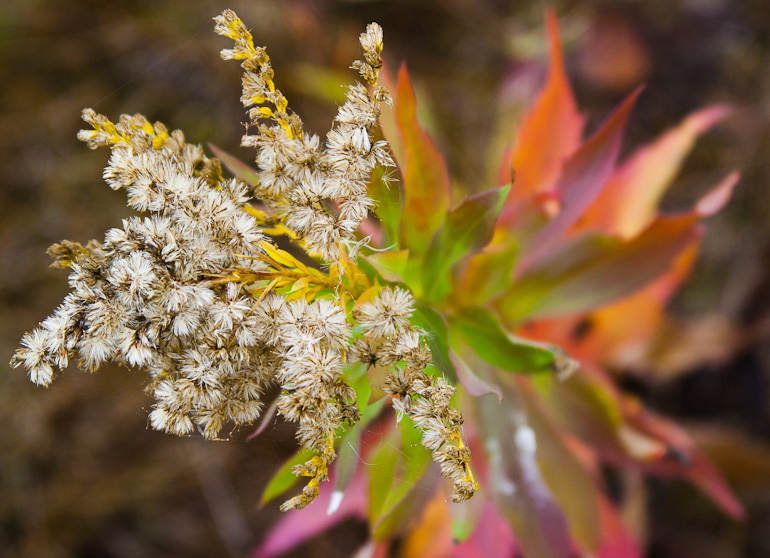 A single arching goldenrod plant displays a full range of early autumn colours from violets and oranges to greens and yellows. 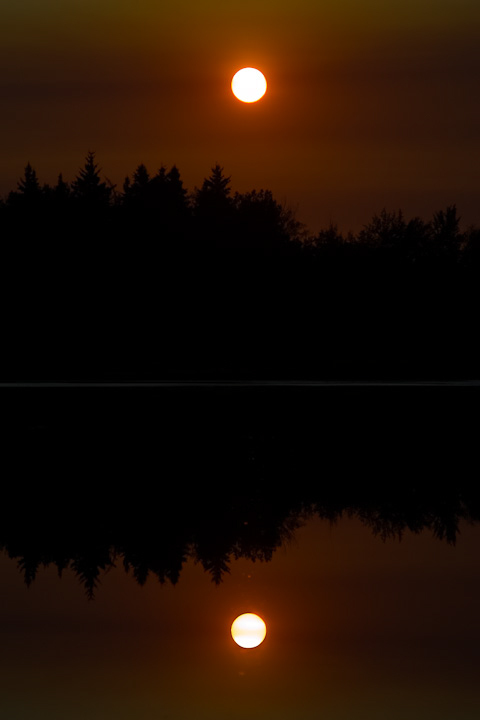 The silhouette of a boreal mixedwood stand against a sky turned dark red by smoke from nearby forest fires is reflected in a mirror smooth lake at the Ministik Lake Sanctuary. 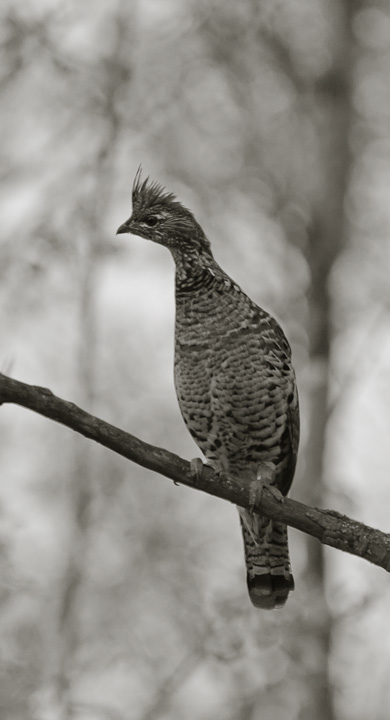 A female ruffed grouse keeps a close eye on the photographer from a thin perch while her young scramble for a hiding place. 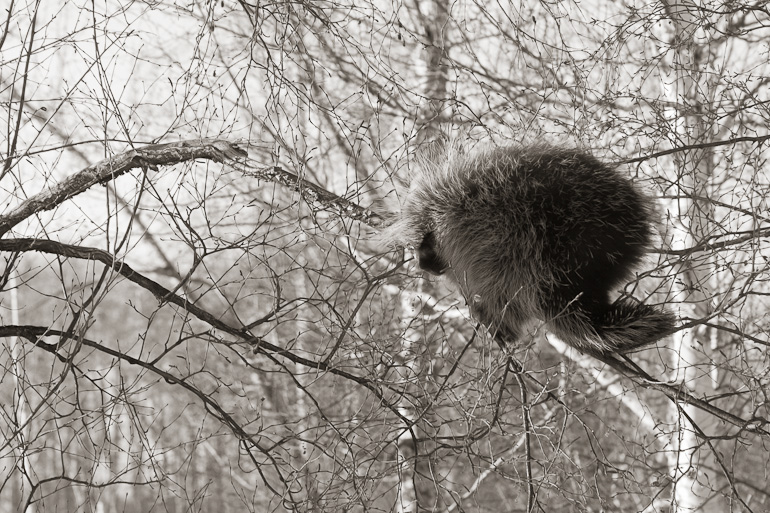 A large porcupine sits on a small branch in a birch tree while eating the bark and buds. 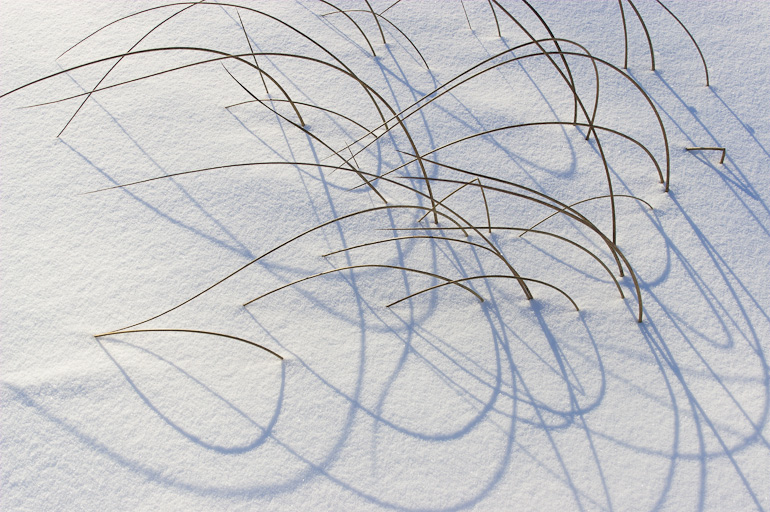 The curving shadows of dried reeds in low-angled winter light create an abstract pattern on a layer of fresh snow. 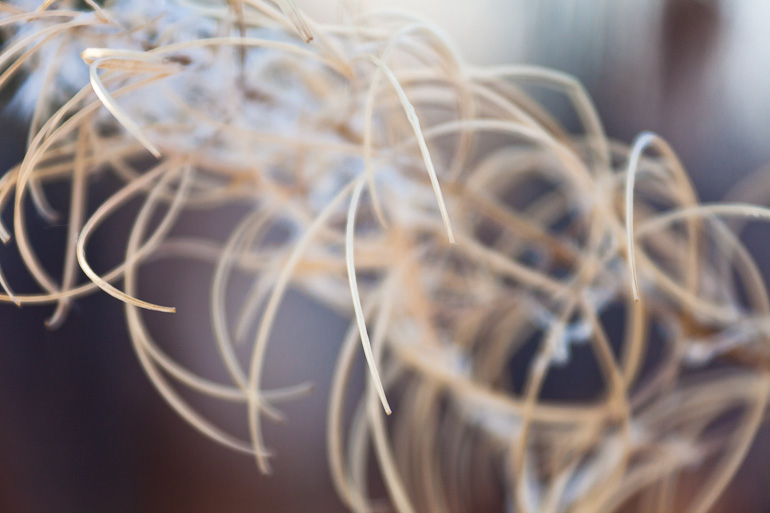 The tattered dried leaves of a fallen aster stem create an almost abstract pattern of light and shadow. 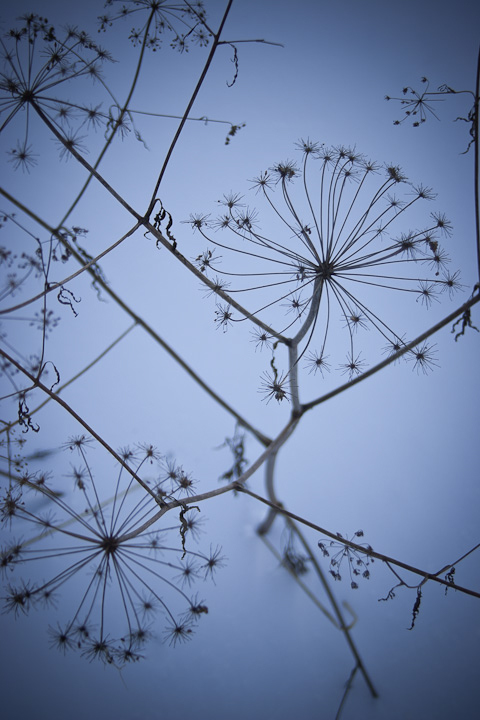 The delicate patterns of a dried cow-parsnip stem and umbel flowers is silhouetted against a layer of freshly fallen snow. An old, beautifully symmetric paper birch tree stands in silhouette against a pale blue winter morning sky. 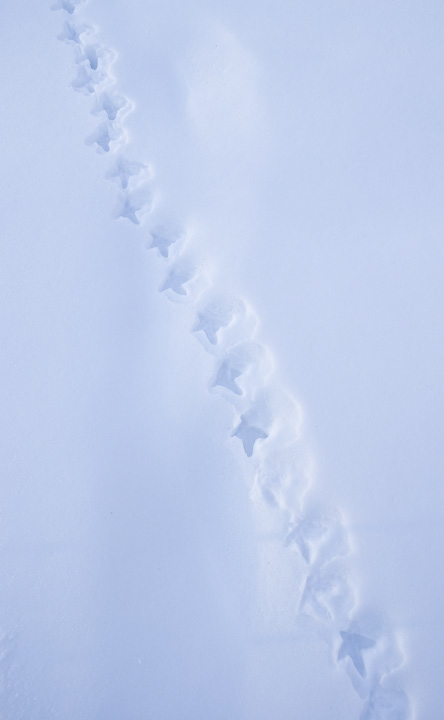 A meandering line of deep tracks in fresh snow shows the progress of a ruffed grouse. 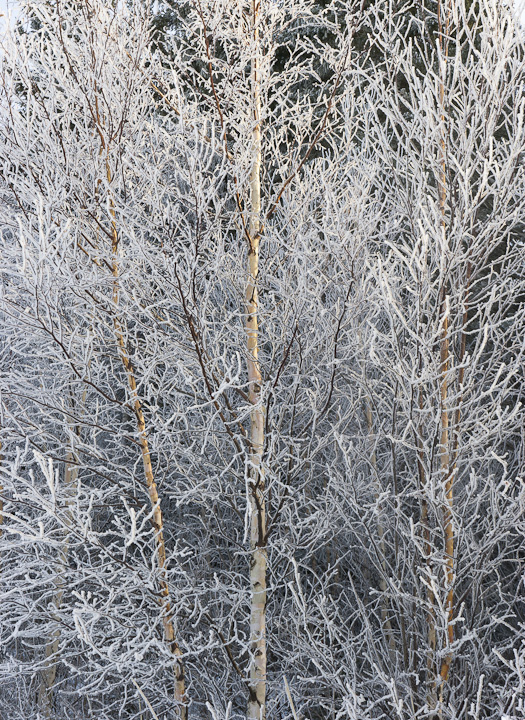 A heavy frost covers the thin branches of young birch trees on a very cold winter morning. Strong sidelighting and a close composition highlights the curves of two young paper birch trunks. 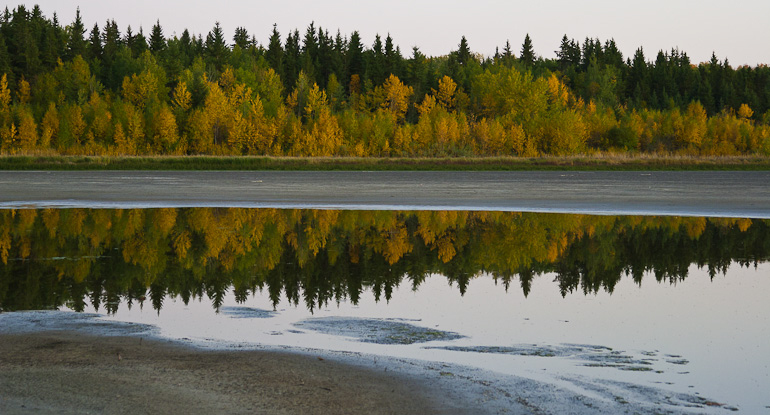 The early autumn colours of a boreal mixedwood stand are reflected in the receding waters of Ministik lake. 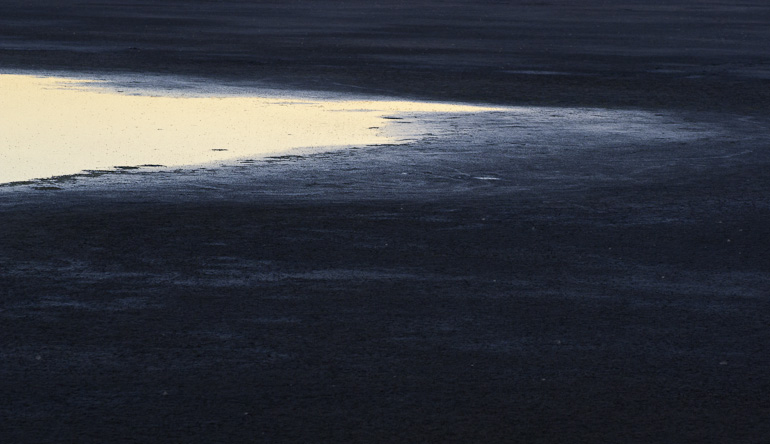 The bright dusk sky is reflected in the drying remnants of a drought-shrunken Alberta lake. 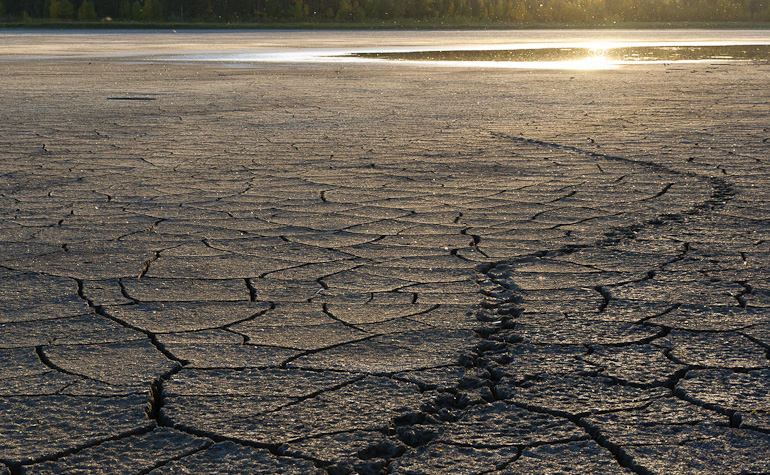 A set of animal tracks in a cracked dry lakebed leads to the last water in a drought-stricken Alberta lake. 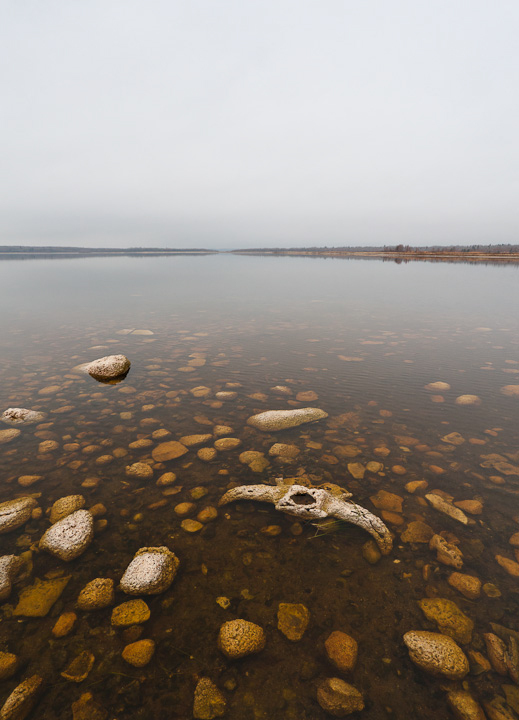 An old bison skull adds to the sombre mood of a still lake on an overcast day. 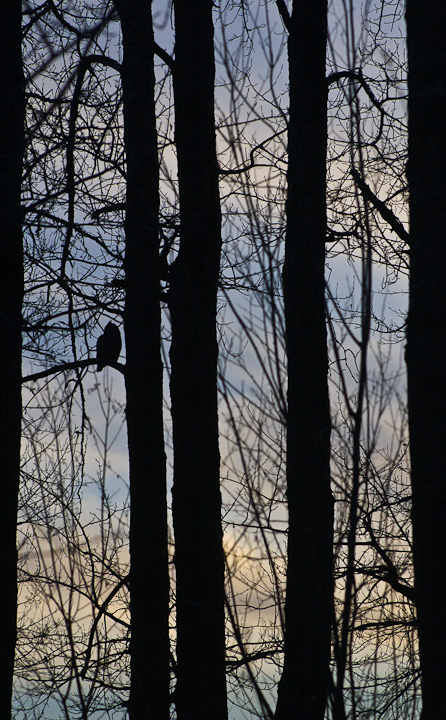 A Great Horned Owl perched on a bare branch silhouetted against a dusky winter sky. 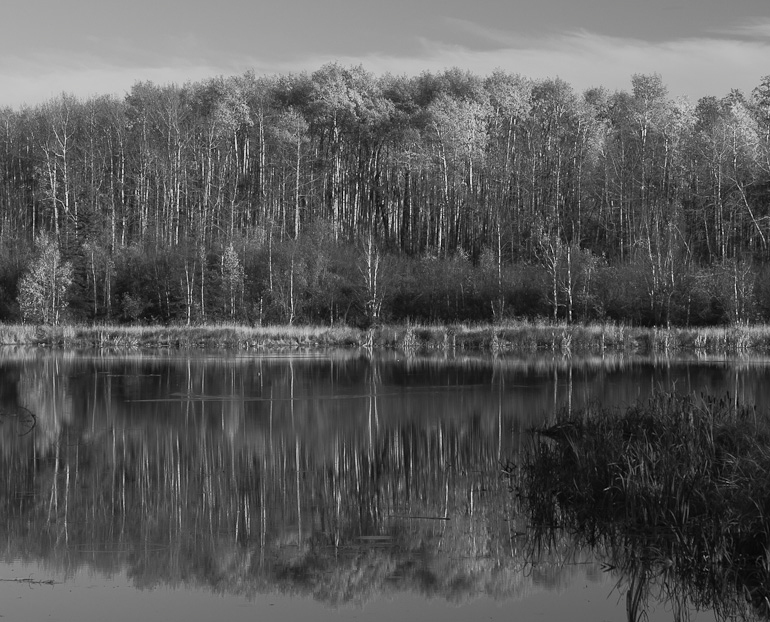 A dense stand of trembling aspen is reflected in a beaver pond at the Ministik Lake Sanctuary. 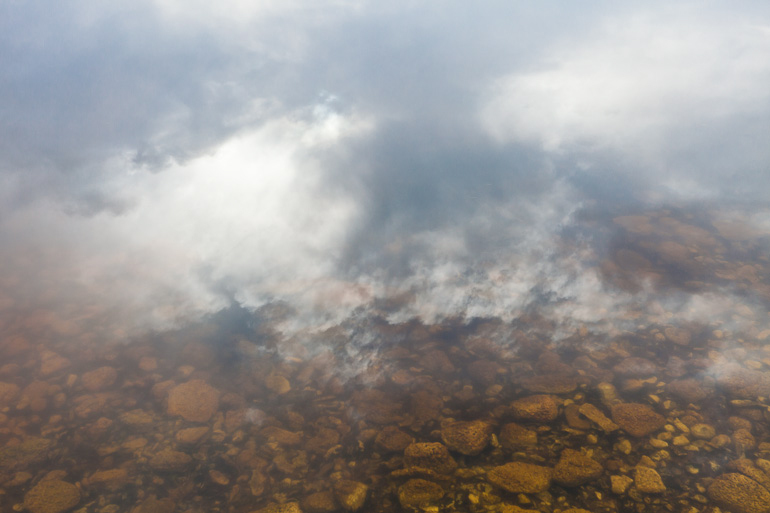 Fractocumulus clouds are reflected in shallow water along a rocky shore at the Ministik Lake Sanctuary. 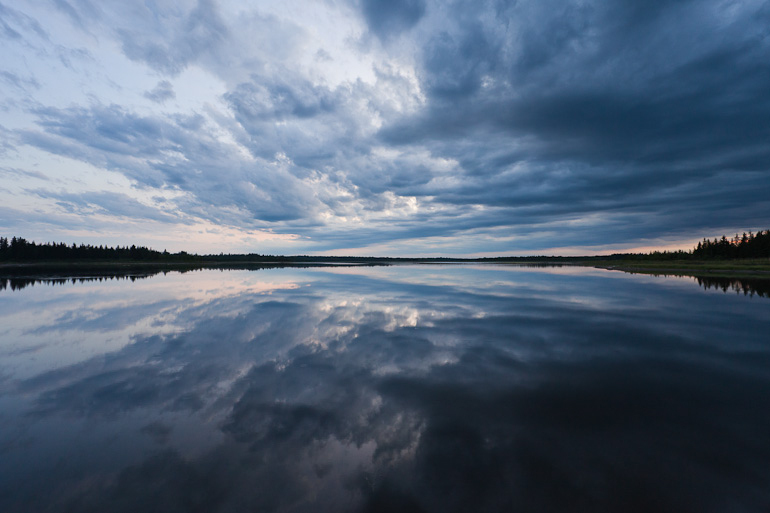 A dark summer storm cloud looms over the mirror smooth water surface of Ministik Lake.